Did Sts. Anne and Joachim have other children besides Mary the Mother of God? Hi. Very inspiring life. St.ann & jachim really prepared Mary the mother of Jesus to say yes to Gods call. Why does St. John in John 19:25-27 say that “Standing by the cross of Jesus were his mother, and his mother’s sister, Mary the wife of Clopas, and Mary of Magdala.”? 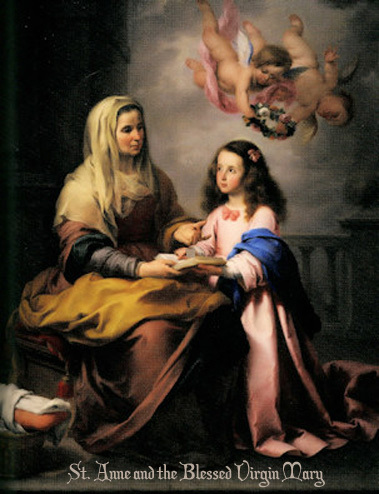 If tradition holds that Mary the mother of Jesus was an only child? Strangely enough I came across information that said Mary’s father Joachim passed away, then her mother Anne remarried to Cleophas, and they had another daughter called Mary Cleophae. Cleophas passed away and Anne married again to Salomas, and they both produced another daughter called Maria Salomae. Three half sisters named Mary. Most of Jesus disciples were cousins that were sons of the three Marys and other half brothers and sisters.. Jesus mother Mary’ was a descendant of King David.as most records only show Josephs lineage.